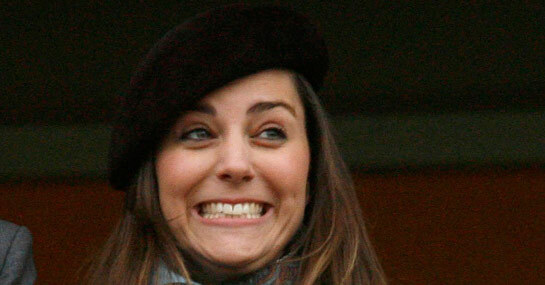 KATE MIDDLETON is just 2/1 to announce her and Prince William are expecting a child next year, according to Ladbrokes. The bookies are contemplating what lies in store for the year ahead and the royal family could hog the headlines again if Pippa Middleton (5/1) announces her engagement in 2012. Caroline Flack and her toyboy Harry Styles became the hottest couple of 2011 and it’s just 16/1 he gets down on one knee and 20/1 that they have a baby. Although at 100/1 the odds look stacked against Olly Murs in his attempt to woo his Xtra Factor co-host. After their public axing from Daybreak Adrian Chiles and Christine Bleakley are 10/1 to perform a sensational U-turn and return to the BBC together. Over on ITV it’s just even money we see the first TOWIE baby and 2/1 that wedding bells ring in Essex.